Ocean Springs offers visitors an array of naturalist art showcasing the harmonious blend of natural surroundings. Local artisans, including the late American master, Walter Anderson, have shared a passion for the serenity and beauty of the Gulf Coast and desire for people to appreciate this aspect of our area. We, at The Roost, share this passion and hope you too will become inspired by the community of Ocean Springs and its connection to art and nature. We invite you to relax and to roost with us, as you experience the magical surroundings of the Mississippi Gulf Coast. The Walter Anderson Museum opened in 1991 and is dedicated to the preservation and promotion of the works of Walter Inglis Anderson (1903-1965). 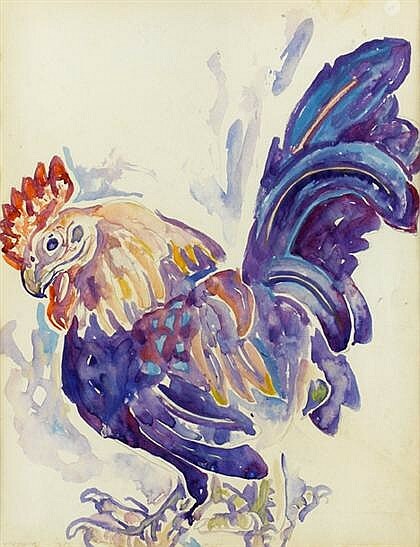 Anderson is celebrated as an American master, whose depictions of the plants, animals, and people of the Gulf Coast have placed him among the foremost of American painters of the Twentieth Century. A visit to the Walter Anderson Museum of Art (WAMA) is an enchanting and unique experience. During a visit to the museum, visitors are offered insight into the artistic vision of Walter as well as his process and the natural environment that inspired him. The Mary C. O’Keefe Cultural Center of Arts and Education is located in downtown Ocean Springs. This 1927 public school buildinghas been restored to offer performing, culinary and visual art events as well as exhibitions and educational programs that highlight the history of the area. 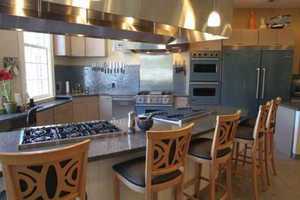 The Mary C also offers a state of the art cooking experience through multiple offerings of year round classes and cooking demos. Come join the fun while preparing a delicious meal in a casual cafe’ setting. Chef Cheri, as well as other local celebrity chefs and cooks, will be leading cooking demonstrations, and much more! Three of Peter's children are still active in the ongoing production of Shearwater Pottery. 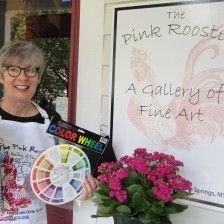 The Pink Rooster Art Gallery is located in a hundred year old estate home in historic Ocean Springs. The gallery offers a large selection of original art work as well as year round art classes ranging from pottery and multi media art, to acrylic and watercolors classes. Learn from well known artist such as Pat Odom. Various classes are available throughout the year catering to both beginners and advanced artist.